Republican Gov. Charlie Baker has vetoed legislation approved by Massachusetts lawmakers that would give nearly $18 million in annual pay raises for top legislators, statewide elected officials and judges. 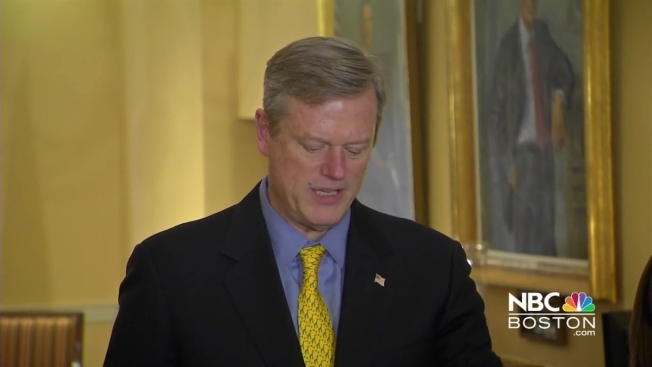 Baker called the hike "fiscally irresponsible" Friday given the struggle to balance the state budget without new taxes. The Democrat-controlled Senate voted 31-9 in favor of the legislation Thursday, a day after the House approved it by a 115-44 vote. That's a large enough margin in both chambers to override Baker's veto. The annual salary for House Speaker Robert DeLeo and Senate President Stan Rosenberg, both Democrats, would climb about $45,000 to more than $142,000 a year. The bill would boost Baker's annual salary from $151,800 to $185,000, and for the first time would provide the governor a $65,000 housing allowance.